We are not familiar with the profile of Maheen Rahman, the fund manager with Alfalah Investments. This is because this charming stock picker does not invest in Indian stocks. Instead, she is a specialist in Pakistani stocks. However, one look at Maheen Rahman’s credentials is sufficient to establish her credibility. Maheen father was top brass with Unilever Plc. She graduated from Lahore University in 1997 and did her Masters from the prestigious University of Warwick. Thereafter, she joined leading financial institutions like Merrill Lynch and BMA Capital where she honed her skills on how to find multibagger stocks. Presently, she is the CEO of Alfalah GHP Asset Management, a fund house based in Karachi. Maheen proved her mettle in 2010 by doubling the AUM of her fund and converting a loss into a hefty profit. The fund recorded a ROE of 15% even the assets of the mutual fund Industry shrank 7 percent. The blockbuster performance is attributed to three key calls that Maheen made. 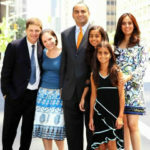 The first was to stay fully invested in equities during the depths of the global financial crisis in 2009. The second was that she rightly sensed that oil prices had peaked and shifted from energy producers into manufacturers. The third was that she sensed that interest rates would be cut and invested heavily in companies that would benefit from lower borrowing costs. Pakistan is today where India was ten years ago? There is no dispute that Pakistan is today a fledgling economy with several risk factors. 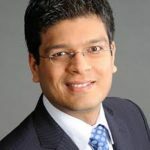 However, these risk factors also provide a unique opportunity for intrepid investors to find undervalued stocks that can become mega baggers. 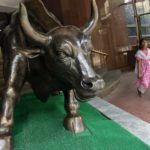 Investors, who could not get a toe-hold in stellar stocks like HDFC Bank, Kotak Bank, etc when they were in their infancy, can do so now with the blue-chip Pakistani equivalents. In fact, Pakistan is heavily under-banked with only 38 million bank accounts. There are less than 200,000 mutual fund investors. This implies that there is massive room for growth. Why invest in Pakistan stocks? There are several reasons why Pakistani stocks are a compelling investment opportunity according to Maheen Rahman. Pakistan will join the esteemed ranks of MSCI’s Emerging Markets index in 2017. This will result in a gush of billions of dollars of passive funds. The best part is that despite the raging rally, Pakistan is dirt cheap in comparison to India and other emerging markets. The benchmark Karachi Stock Exchange 100 index trades at only 13 times earnings, compared to 15 on average for emerging markets. That’s a valuation gap of about 15%. On average, Pakistani shares yield nearly 5%. This provides the much needed margin of safety. China is investing heavily in Pakistan as part of a strategic game plan to achieve dominance in the South Asian region. The investments are going into infrastructure like power plants etc which will improve the GDP. The MSCI upgrade is causing a “complete turn in sentiment” of foreign investors. They are warming up to pump in more funds into Pakistan. Pakistan imports about 90% of its petroleum products. High oil prices leads to high fiscal deficit and corresponding high inflation. The present price of crude oil of $50 per barrel is “like somebody handing us a gift basket,” Maheen Rahman says with a charming smile. Maheen has forecast that oil will trade between $50 and $70 for the next five years. “Within that band Pakistan is in an incredibly comfortable situation,” she opines. 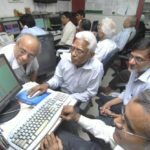 Pakistani stocks can give 3x gains as compared to Indian stocks? 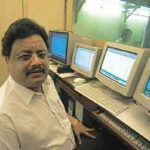 Chiranjivi Chakraborty of ET has written a piece in which he has confidently asserted that investors can make 3 times more money by betting on stocks in Pakistan than in India (see You can make 3 times more money by betting on stocks in Pakistan than in India). He has collated the view of leading experts who have opined that though Pakistan is also a fast growing economy, it has suffered an “image” issue which has led to its “isolation” from the global financial markets. However, as the perception is changing, the Country will catch up in a hurry which may lead to upto 3x gains in comparison to India. A similar opinion has been expressed by Rahul Oberoi of ET (see Pakistan beats India hands down in stock returns in the last 16 years). OGDC, a PSU, appears to be the equivalent of ONGC, India’s blue chip Petroleum giant. It has large weightage in the KSE 100 and can “take the entire index with it”, Maheen explained. OGDC has given a hefty YoY gain of 50%. However, it has still underperformed the Benchmark index. OGDC looks cheap at less than nine times forward earnings, Maheen opined. POL has also given hefty gains of 40% on a YoY basis. It is a “pure play” crude oil stock. PPL is an upstream producer of natural gas. The stock has also underperformed the benchmark implying that it is undervalued. Rahman recommends holding all three stocks. “These companies still look very underpriced,” she stated. Rahman also recommended investment in local petroleum distributors (Oil Marketing companies). She opined that these stocks will benefit from spending on infrastructure like roads and new logistics supply chains that are being built. “It’s a direct relation to how many more cars and buses you have the on the roads,” she stated. She recommended Pakistan State Oil (PSO. PK) as a stellar pick. PSO runs 3,500 service stations across Pakistan. PSO is up by more than 40% over the past year. It trades at a cheap eight times next 12 months’ earnings. Maheen Rahman opined that the next leg of the market rally could come from Pakistan’s blue chip banks. She explained that of the country’s population of almost 200 million, less than a fifth of Pakistanis hold bank accounts. The number of people investing in mutual funds is just a couple of hundred thousand. She also emphasized that the banks will benefit from the financing of $160 billion in infrastructure projects. Maheen Rahman has put the spotlight on three Banks called Habib Bank (HBL.PK), United Bank (UBL.PK) and MCB Bank (MCB.PK). She assured that all three Banks are powerhouses with pristine Balance Sheets, low NPAs and reasonable valuations. How to invest in stocks listed in the Karachi Stock Exchange? Prima facie, investing in Pakistani stocks is as easy as investing in Indian stocks. One has to open an account with a broker and a demat account. The funds have to deposited with the broker and one can use that as margin to buy and sell shares. The procedure is explained in detail by Zafar Stocks, a broker registered with PSX. The charges for opening the account are quite nominal and so is the brokerage. It appears that Indian investors will be classified as “foreign nationals” and have to fill in separate forms. What kind of garbage article is this. You want us to invest in Pakistani stocks so the ISi can take our money and attack Indian soldiers and Indian citizens. Absolute garbage article. Get some balls and stop writing this sort of nonsense articles please. Asking Indians to invest in a failed state. Are you ok in the head. Uncle ED ka naam suna hai? Jab uska bamboo chalta hai toh….. Such your types of persons give important to Pakistan….. It’s a meaningless article……..anti India…. The legal compliance (like FEMA compliance, Taxation Compliance) for such transactions will be very high and not worth unless the scale of investment is high. I agree with other writers ,Stocks go up when there is economic stability and growth , this happens when the country is governed ethically and in a stable atmosphere . where is political stability ? where is the government committed to growth? This article could be for knowledge only. We cannot & should not invest in Pakistan. We have a very bad relation with them. If Tommorow Pakistan army & Taliban Jed Jaish surrenders to Indian army + abolish visa I will think about Pakistan stocks ….till then No No…. Arjun..very disappointed with this article. Plz remove it from forum asap. I congratulate Arjun for all the brickbats that he has received and has even allowed them to appear here. Fantastic Arjun, you are a free speech champion. If I would have been in your place I would have allowed only one or two such comments. BTW, did you expect these comments? Im sure you did not, when writing the article. Cheers!! and BTW I am one such person. This looks like a random shoot-in-the-dark article…? Obviously, no Indian will want to invest in pakistani stocks given the real world situation. Leaves a bad taste in the mouth….will stay off this blog for awhile. There are enough blogs out there. I am Indian and a proud one at that. 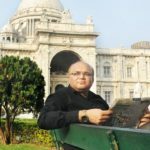 Given journalistic interest in objectivity, I think Arjun has done a good job in writing this article. He is only explaining the facts as they are. The rest is up to us – to invest or not. I know many Gujjus who do not invest in cigarette stocks and non-veg stocks. So the same principle can be followed here. If folks think it is unethical, they must stay out. However, I too would keep away for various reasons, one including crossing hairs with the ED. Folks forget the Chinese aggression and that China is still hostile towards India. China is not labeling known Indian attackers as international terrorists when Pakistan has already placed them under house arrest. But Indians still buy Chinese phones and patronize China-backed companies and products so strongly? 🙂 Shouldn’t the Pakistan stocks principle be applied to Chinese products? Isn’t the money going to be used to fortify the huge Chinese army? I agree. very thoughtful. Pakistan is our direct enemy but business transcends borders. it knows no country or religion, either in good or bad way. Indian businessmen who do not pay taxes, sell fake and counterfeit goods, cheat people out of money by various ways are also damaging our country. 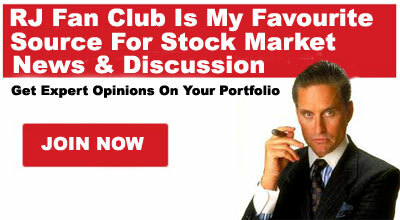 but I would ask the site owners to stick to Indian and US stocks. Shocked to read this article. Remember 26/11, 1993 and several other incidents before posting this. I’ll rather pour my wealth in sea rather than following your advice. 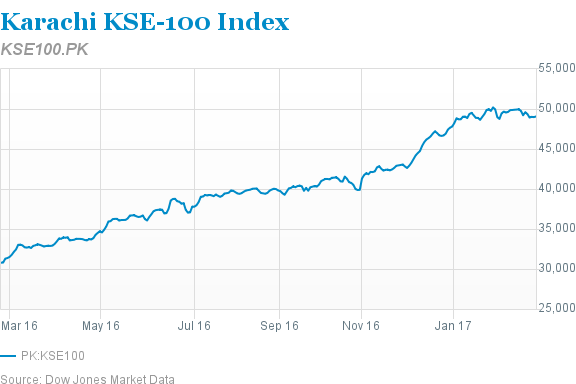 With political instability and a military coup overhanging like a democles sword, it is suicidal to think of pakistani stocks purely on economic sense leave alone patriotic. Exactly. I was about to write the same. Even if one is not being patriotic, it is suicidal to invest in a failed state. I think this article is meant for cold blooded money grubbing mercenary who doesn’t care how he/she is making money. If you want to strengthen the economy of a country based on ideological supremacy and religious apartheid, then sure go on..
Patriotism aside… Pakistan may present a very good opportunity for investors. Arjun good job in bringing out this article! Most comments are jingoistic in nature. Invest or not to invest is one’s own call (be it for patriotic reasons or for economic reasons). Knowing about one’s enemy is the first step towards preparedness. Let us not close our eyes towards facts. A country on the brink of collapse.Its currency value is half that of Bangladesh.